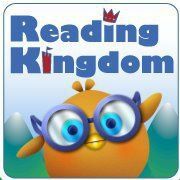 Reading Kingdom is an interactive, customized online reading program for ages 4-10 years old. Reading Kingdom uses a 6 skills model of reading instruction that incorporates phonics and whole language. The 6 skills are: sequencing, motor skills, sounds, meaning, grammar and comprehension. It takes about 12-15 months for a child to complete the entire program (of course this will vary depending on their skills and the amount of time they utilize the program each week). I have heard great things about Reading Kingdom from friends and online reviews so I was very excited to receive a 1 year membership as part of the TOS Crew. We lean more towards the whole language method of learning to read so I was very interested in this program because it incorporates 6 skills instead of just 1. Creating an account and logging in was very simple. There are few notes to parents when you first log in, one being that children are supposed to complete the program completely on their own without parents assistance (unless it is with the mouse and keyboard). I thought this was wonderful!! I LOVE educational programs that the kids can easily navigate on their own, learn at their own pace and have fun on too. I started my 6 yr old daughter (a beginning reader) on the program. The first step was for her to complete the skills survey so she could correctly be placed. I decided to supervise her during the assessment so I could get a better understanding about the program. I thought she did very well however she was still placed at level 1 which is Seeing Sequences and Letter Land. She was very bored throughout the skills survey and did not like how repetitive and slowly it moved. I think she felt like she was being talked down to. I encouraged her to continue and told her she had to get past that portion so she could start at the correct level which would probably be much better (tests are NEVER fun). Uh oh the 1st level Seeing Sequences and Letter Land was just as repetitive and slow. Again I have had to encourage her to work through it so she can move onto level 2 which contains books. She is still not completed with level 1 which she has been working on for about 3 weeks. Each lesson should take about 15-30 minutes to complete but there have been several times she got so bored she asked to get off and do her other reading program without finishing the lesson. Level 1 has mostly been teaching keyboarding skills, mouse skills and lots of letter recognition (all of which Gwyn has mastered). There was very little reading skills other than that you read left to right (which my Gwyn already understands). She got very sick of hearing "you go this way" over and over again. And often I heard her yell at the computer, "I know that already." The activities in level 1 were the same activities over and over again. I do like how the keyboard is incorporated into this program and so did Gwyn, she loves typing. You have the option to use a keyboard on the screen or the physical keyboard. We choose to use the physical keyboard. There is an option to email Reading Kingdom if you feel the level is too easy or hard and they will adjust it. But I decided against this because I didn't know what exactly would be covered in level 2 and didn't want to jump ahead in case I was wrong. I think it would be nice if there was a more detailed breakdown of what is covered in the levels so parents could make a better determination whether or not to skip their children ahead. Or perhaps the skills assessment needs to be better configured. I've noticed (from talking with friends and reading reviews) that it seems to put all children at level 1. Perhaps I should have skipped her ahead so I could see if level 2 is any better and more enjoyable. As a test I let my 5 yr old son jump on during level 1 to see what he thought and to see if it worked any better for him. He completed one lesson and though he struggled a little with it he seemed to like it better than my daughter. 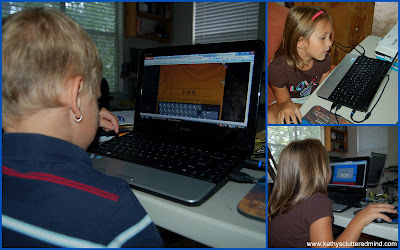 His major issue was using the mouse and keyboard because his motor skills are not as good as my daughters. If you will be using the program with a younger child there is a keyboard and mouse skills training exercise that can be done before starting the program. We will probably continue using the program but I think Rowyn will be the one completing it. -The kids enjoyed the colorful fun graphics. -The audio instructions were easy to follow and understand. The kids like the silly sounds too. -The reader report is very easy to read and understand. -The kids like the star rewards they can earn which unlock stamps on their passport. 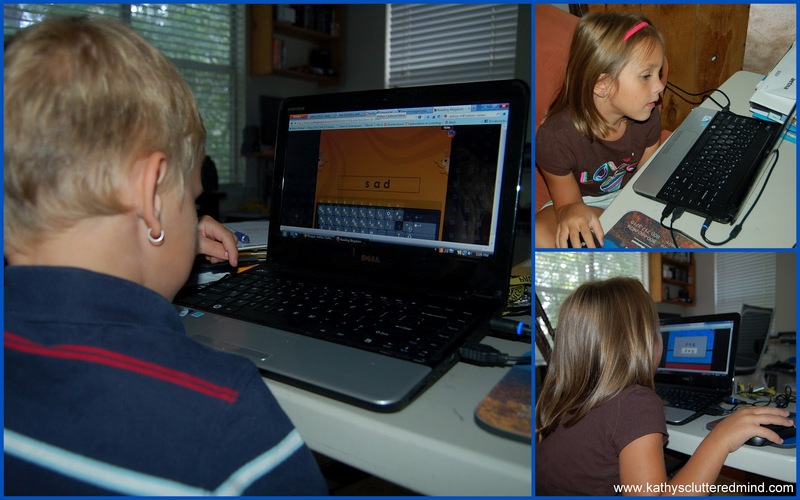 -Incorporates the use of the keyboard and teaching of punctuation marks. 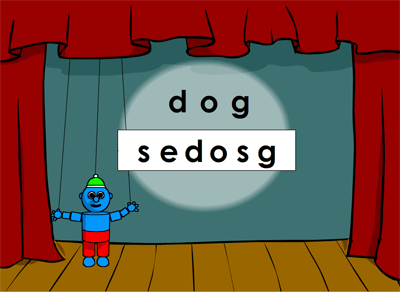 -Incorporates 6 skills of learning to read rather than just 1. -Reviews are given to the child prior to starting another lesson so they can master their weak areas before moving onto something new. -Sessions can easily be paused or stopped and returned to later without loosing your progress. -Good for all learning styles. -Reading Kingdom is too repetitive and slow moving for some children. -There is no way to preview higher levels to help determine if your child can skip ahead. -There is no detailed parent reader report for level 1 to specifically show weak areas for children so you can work on them outside the program. -The assessment doesn't seem to be very accurate and you may need to skip your child ahead by contacting Reading Kingdom via email. -Needs more activities. There were only about 3 different activities in level 1. Sample Lessons - Reading Kingdom example lessons. Educational Activities for Kids - fun hands on educational activities. Great Apps for Kids - very good list of Apps, of course they were all for iPhone though which doesn't help us Android users. Great Books for Kids - links to children's book reviews posted on the Reading Kingdom blog. Kids Reading Games - explains how and why Reading Kingdom is a great game. Learning Tips - a great list of learning tips written by Dr. Marion Blank. Worksheets for Kids - lots of fun worksheets covering reading comprehension, sight words and holiday themes. Tutorials - lots of "how to articles." FAQ's - includes faq's about the program I highly recommend reading this PDF as well. I kind of didn't like how slow it went and wanted to read books. I liked the silly sounds and cute pictures. A risk-free Reading Kingdom account can be created and used free of charge for 30 days. Afterwards, a subscription can be purchased for $19.99/mo or $199.99/yr for your first reader. Additional readers are $9.99/mo or $99.99/yr. Additional books, kits, and resources are available in the Reading Kingdom Store. Subscriptions can be canceled at anytime. There is a scholarship program available. They don't want anyone to be turned away because they can't afford to pay. If you do have financial hardship and can show during your 30 day free trial you use the program consistently, you may be granted a scholarship. Click here for more Reading Kingdom reviews from the The Schoolhouse Review Crew. *Disclaimer - As part of the TOS Review Crew I received a 1 yr subscription to Reading Kingdom in return for my honest review. Please note that prices indicated in the post are subject to change. I was not compensated for my review and all opinions are our own! Many of the links found on my side bars and in my blog posts are affiliate links. As a result, I might get paid money and I will most likely spend the money on homeschool supplies.